For the first time in 30 years, becoming a professional pilot is within the reach of people who once only dreamed of it. We’re in an unprecedented time of skyrocketing demand for pilots, and the number of aviation jobs grows daily. The sky is calling, and if that has been your dream, now is the time to act. The reasons for the current pilot shortage are many. The sustained growth of domestic air travel since 9/11 and the extraordinary expansion of air travel in countries like China and India have added to the huge demand for pilots. U.S. airlines have transitioned to scheduling more frequent flights in smaller but more numerous aircraft for efficiency. The traditional source of airline pilots—the military—has reduced the number of pilots it generates to a mere trickle. According to U.S. Air Force statistics, in 1943, the U.S. Army Air Force graduated 65,797 pilots. These war-trained aircrews manned the cockpits of our airliners for decades. By 1996, the U.S. Air Force was graduating only 525 pilots per year. Today, there are many avenues toward becoming a professional pilot. Let’s look first at the time-tested, traditional way. In every era except the present, the first thing a prospective airline pilot had to do was get a four-year college degree. Following graduation, a student would scrimp to earn enough money to get a private certificate, which would be followed by an instrument rating, commercial certificate and on up through a certified flight instructor (CFI) rating. An instructing job would ensue, teaching primary students and bumming multi time when possible. The work didn’t promise much variety, and an instructor would gaze longingly whenever a King Air would kiss the runway in front of his or her Cessna 150. After several years, the pilot might graduate to flying turboprops for a carrier. If the person built enough turbine multi time, he or she could fly as a copilot at a regional airline for several years (making captain when gray hairs were well established). A select few would then start over as copilots for a major airline. But in the last couple of years, this model has changed. In essence, academies provide intense, concentrated training that emulates airline practices, trains to airline standards and familiarizes students with airline cockpit procedures. “We teach our graduates to think at six miles a minute,” says Shawn Raker, president and CEO of Flight Training Services International (FTS). Their Commercial Airline Pilot Training (CAPT) program places pilots directly into right-seat positions. Academies like FlightSafety, ATP and Gulfstream take zero-time students with no aviation experience and transform them into first officers in six to 12 months. Many boast placement rates above 95%. Regional airlines no longer require instructing time, and the academies bypass the traditional CFI route. “We offer the airline the most qualified copilot possible,” adds Raker. “We don’t teach them to be flight instructors.” Pilot demand is so great that the regionals have also lowered minimum flying times to unheard of levels—250 hours in many cases. College degrees aren’t required either. for those who already have a degree and only need the flight-training part. The variety of schools and training academies can be overwhelming. Here we show you what’s unique about each. atpflightschool.com Ultrafast. Fixed-cost pricing. Self-paced or fixed-length programs. americanflyers.net Finish-up programs for pilots who started their training elsewhere. Full training also available. baylor.edu/bias Earth- and environment-centric programs designed to foster environmental care through scientist-pilots. deltaconnectionacademy.com ﻿Subsidiary of Delta Airlines. 17 years in business. Excellent reputation. International students. embryriddle.edu 35 aviation degrees to choose from. Industry leader. Brand-new all-glass training fleet. Part 142 training center. captprogram.org Advanced training environment with camera-equipped simulators and Avidyne panels. Mirrors military training. flightsafetyacademy.com Advanced-technology learning facilities and simulators. “Business Jet Direct” program. Safety emphasized. fit.edu Affiliated with American Eagle. Personal attention. Fleet of Pipers and SR22s. Aerobatics. gulfstreamacademy.com Training airline. Students fly international routes to Havana in turbine aircraft. Fast program. mgc.edu Beautiful campus. Eight degree programs and 19 certificate programs. Out-of-state tuition waivers. osu.okstate.edu Small college. Low tuition (currently about $60,000 including training). Out-of-state tuition waivers. www.flightcareers.com Guaranteed first-officer interview after successful completion of training. 95% hire rate with Mesa. Low tuition. aviation.siu.edu Students fly faculty execs and medical school missions. Internships with eight airlines. Turbine transition course. King Air sims. spartan.edu 80 years of aviation training. Excellent reputation. Multi-engine experience during primary training. www.ucclermont.edu Two-year Professional Pilot Program offered in conjunction with Sporty’s Academy. aero.und.edu Liberal arts degree. Bridge program to JetBlue. Fleet of SR20s and Pipers. uvsc.edu Online programs available. Quality at an affordable price. Excellent location. Airline affiliations. westwindaviation.com 737 course. Students don’t prepay. No training contract. New training fleet. Affiliated with Colgan Air. If flying for a major legacy airline is your goal, then a four-year degree is still a must-have. The majors, the high-end “boutique” carriers and the plum corporate jobs still require the degree along with high minimum hours and considerable multi-engine time. That’s where the aviation universities come in. “We produce leaders, not just pilots,” says Frank Ayers, chairman of flight training at Embry-Riddle University in Daytona Beach, Fla. “Our graduates are going to be the chief pilots, the check airmen, the leaders of the industry.” Ayers thinks the importance of a four-year degree is absolutely huge. He says, “Our graduates don’t take the first offer they get. They can pick and choose.” Indeed, the best employers in aviation regard a degree from an accredited aviation university as a key ingredient. For that reason, many schools prescreen their applicants to make sure they’re the stuff of which future airline captains are made. Aviation colleges combine flight training with academics in degree programs that address aviation-specific education. Majors like aeronautical science and air-traffic management are combined with leading-edge flight training in first-line equipment. Most are four-year programs that include flight training. In these college programs, students earn their ratings and then stay on to instruct for at least a year. By instructing, they build time and experience the old-fashioned way. These college CFIs are paid respectable wages and receive considerable discounts on their tuition. After training, the interview is the next step. In the pilot world, the interview isn’t just a verbal exchange; it’s a gauntlet of tests, questions and intense evaluations. AIR Inc.’s Darby says that without interview preparation, candidates have a one-in-seven chance of success, while those people who prepared have a one-in-two chance. The oral interview will consist of a human resources portion and a technical portion. The HR part asks typical open-ended questions like, “Why did you choose to become a pilot?” The purpose, of course, is to evaluate your personality. The technical interview consists of aviation knowledge questions and may include ATP-level questions. Your logbook will be reviewed and you’ll fill out a gazillion forms. The simulator evaluation is next. Simulator types will vary, but the process is designed to determine your basic flying ability and IFR proficiency. You’ll brief a departure, take off, perform checklists and call outs, perform holds, fly approaches to minimums and show you can read the charts. After a missed approach and some vectors, you’ll move on. It varies with each carrier. You’ll submit to a drug screening, a background check and, in many cases, a full medical evaluation. Some carriers administer a written test and do a psychiatric evaluation; almost all will review your driving record. You’ll need a passport for international flying. There are several Internet resources that offer detailed interview guides (called “gouges”) for each carrier. They include actual questions and debriefs from pilots who went through the process. Paying for flight training is one of the greatest barriers to pilot candidates. Because financial aid is a science in itself, we offer some great resources to get you started. Becoming a pilot is expensive. Between training and tuition, costs can surpass $120,000 to go from zero time to first officer with a four-year degree from a premier school. Financial aid comes in four basic flavors, and most students will use a combination of these to pay for their training and education. Government loans are the traditional method of paying for your education. There are two main federal loan programs: the Stafford and the Perkins loans. Each varies in terms and requirements. These are offered through the Student Financial Assistance (SFA) program. Another government loan aimed at parents is called the Parents Loan for Undergraduate Students (PLUS). Finally, the federal “consolidation” loan is a low-interest, no-collateral loan available through the Department of Education. offered by the government are the Federal Pell Grant and Federal Supplemental Education Opportunity Grant (FSEOG). Each state’s government also awards grants. Specialty loans from nongovernment sources are another option. These “alternative” loans require good credit or a cosigner, but carry terms and options that are attractive to student borrowers and are usually more favorable than traditional loans. Many are targeted at aviation. The best kind of money is free money. Scholarships and grants are awarded to students based on merit, talent, special circumstances and other criteria. One trick to using scholarships effectively is to apply for many small ($200–$1,000) grants instead of just going after the big money, because fewer people apply for them. Specialty scholarships are excellent if you meet their requirements. For example, a nonprofit organization called Able Flight awards aviation scholarships to people with disabilities. Women in Aviation International (WAI) offers dozens of scholarships sponsored by Cessna, Delta, Boeing and many other groups. AOPA and EAA both offer scholarships, as do most of the aviation colleges and academies. The number of scholarship sources is staggering (see “Financial Aid” on page 40 for details). At this writing, airlines are swimming in a quagmire of FAA inspection woes, skyrocketing fuel costs and looming bankruptcies. Still, the world’s insatiable need for air travel shows no signs of decline. to the FAA, air travel will reach 1.2 billion passengers by 2020, and they’re projecting a need for 20,000 new pilots in 2009 alone. The International Air Travel Association is even more optimistic. With projections that the global air fleet will grow by 17,000 aircraft by 2020, the group predicts a pilot shortage of 42,000 pilots by that time. The shortage of pilots has created an environment of invention and creativity in the industry. One development is the emergence of “sponsor” programs where air carriers foot the bill for all the certificates and ratings for a prescouted pilot candidate. In exchange, the student signs a long-term employment contract with that carrier. It’s similar to the multiyear commitment required of military pilots. In all, the possibilities for those dreaming of an aviation career are more exciting than ever. Those of us who learned to fly in the days of 2,000-hour minimums for most pilot jobs are astounded at the changes in the industry. If you’ve ever dreamed of making your living in the cockpit, plying the skies from the business end of a commercial jet, now is the time to go after that dream. In today’s flying world, even the sky is no longer the limit. The Internet is a vast repository of information for people who want to launch a career as a professional pilot. There are also hundreds of books on the subject. Here are some of our favorite sites and reads. learntoflykit.com ﻿A one-stop resource for those just getting started in aviation. 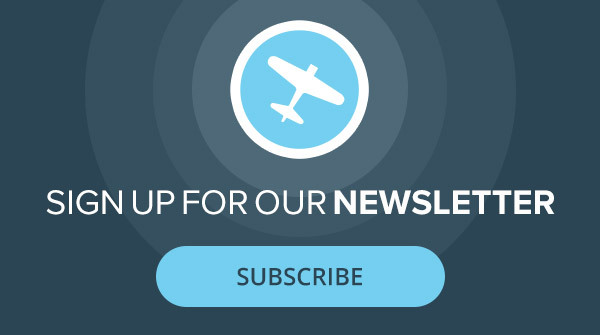 Get free materials and a free issue of Plane & Pilot. mypilotcareer.com Both are part of several interview “gouges” or guides with airline-specific information. Check for currency of data. willflyforfood.cc A famous website and useful resource for airline pilot information, including gouges, current pay information and much more. jet-jobs.com Kit Darby’s website. Dedicated to helping pilots make informed career decisions through an array of resources. iswap.org/Tips.pdf A fantastic (and free) mini-book on becoming an airline pilot from the International Society of Women Airline Pilots. Pilots of the Line by Sky Masterson A series of stories about being an airline pilot in a post-9/11 world. by Robert P. Mark Published in 2007, this is a valuable employment tool about everything involved in becoming an airline pilot. by Andrew Cook Written in 2007 by a pilot who had just completed airline training. North Star Over My Shoulder by Robert Buck Read what it was like in the glory days of being an airline pilot. A classic.